Commercial and residential use including shopping malls, restaurants, offices, retail stores, theater stages, hospitals, schools, and nursing homes. Traffic provides a clear, natural appearance, giving almost invisible protection when the IP (Matt) version is used. However, unlike oil, it offers a simple level of maintenance. 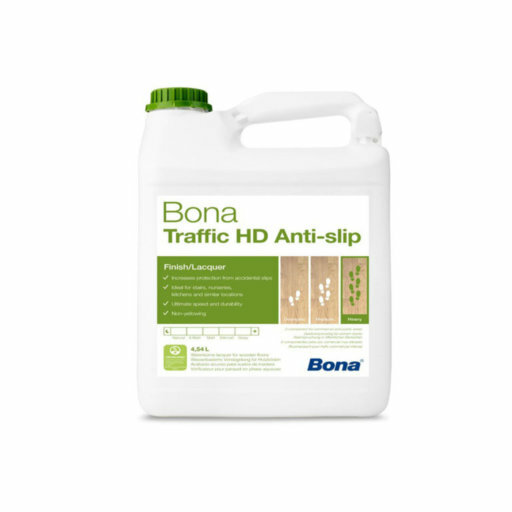 Where there is a risk of sidebonding, Bona Prime Classic is recommended for the initial coat on bare wood. • Classified R10 according to DIN 51 130. Available in Silk, Matt and Extra Matt sheen.